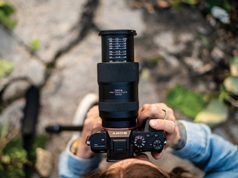 The company claims it has the widest focal length of any instant camera currently on the market (38mm or 21mm equivalent). 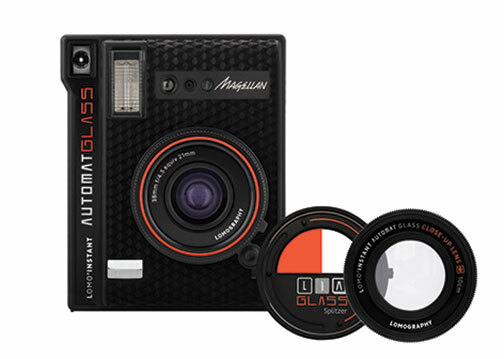 The sleek Lomo’Instant Automat Glass Magellan edition owes its name to “pioneering voyages and stargazing observatories that paved the way for new discoveries.” It sports a textured black faux-leather body covering with a geometric design as well as fluorescent orange details. 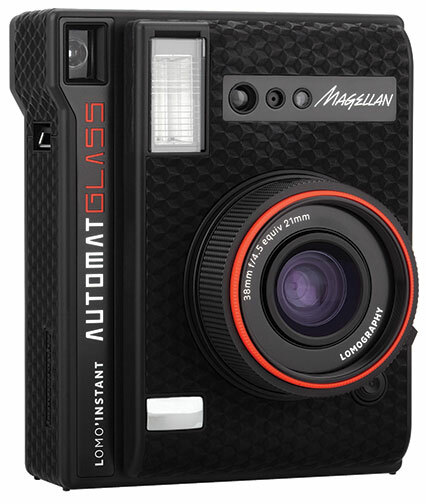 With all of the intelligent autoexposure and creative features of the Lomo’Instant Automat, the new rendition adds a sharp, multicoated glass lens made of six elements in four groups. 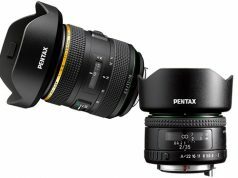 The compact camera also offers low-light performance without even using its flash, due to its largest aperture of f/4.5. Furthermore, shooters can switch to auto mode to let the camera select optimal settings for aperture, shutter speed and flash output. The Lomo’Instant Automat Glass also offers a focusing distance of just under 12 inches to get close to a subject and fill the frame with details. In addition, the simple zone-focusing system works with Lomography’s click-and-stop feel to make focusing easy. 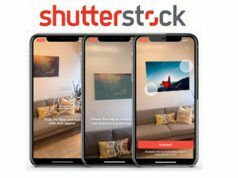 Users can switch to 0.3m to take selfies; turn to 0.6m to fit in a friend; spin around, set the focus to infinity and aim for the stars; or use the remote control shutter release. 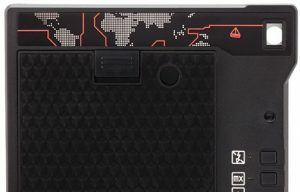 Creative features include a Splitzer; a close-up lens attachment that allows users to shoot as close as 4 inches from the subject; and a remote control lens cap that doubles as a remote control shutter release for group shots and shake-free long exposures. The Splitzer is designed to offer a new way of shooting instant photos. 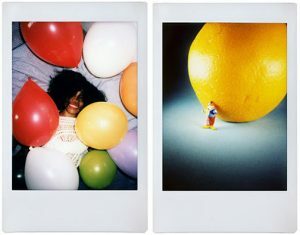 Creating multiple exposures, it combines the creative features of the Lomo’Instant, like long exposure and flash, with color filters to expand the creative potential of the camera. Shooters can also create light paintings with bulb mode. They can also layer as many shots as they’d like on a single frame via multiple exposure mode. In addition, they can add a splash of color to photos using bundled color gel flash filters. Additionally, they can utilize the included glue dots, shooting technique cards, photo stands, magnet stickers and Fotoclips. Features also include: a built-in flash with guide number 9; flash-off mode; a tripod mount; an infrared remote control transmission system; an LED film counter; and a 43mm filter thread.